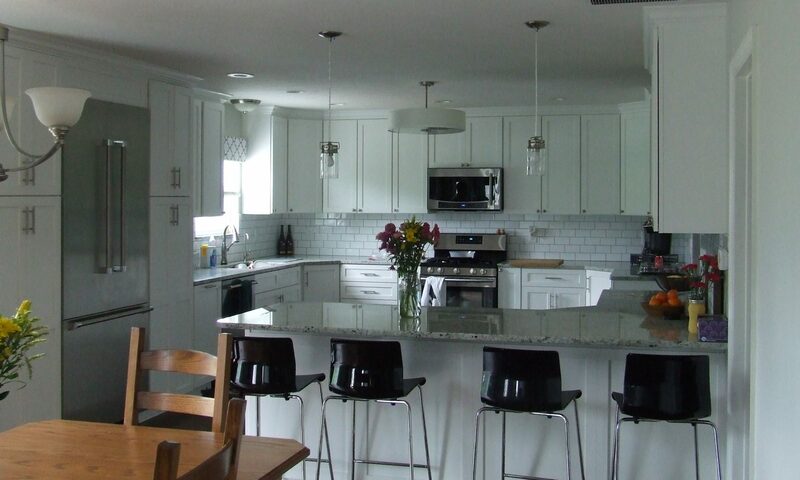 This was a total kitchen remodel from the ground up. 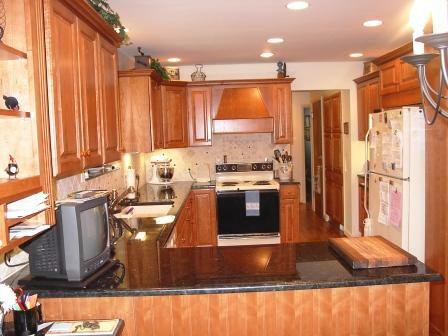 This view is almost the same as the window is on the left and the doorway is on the right. 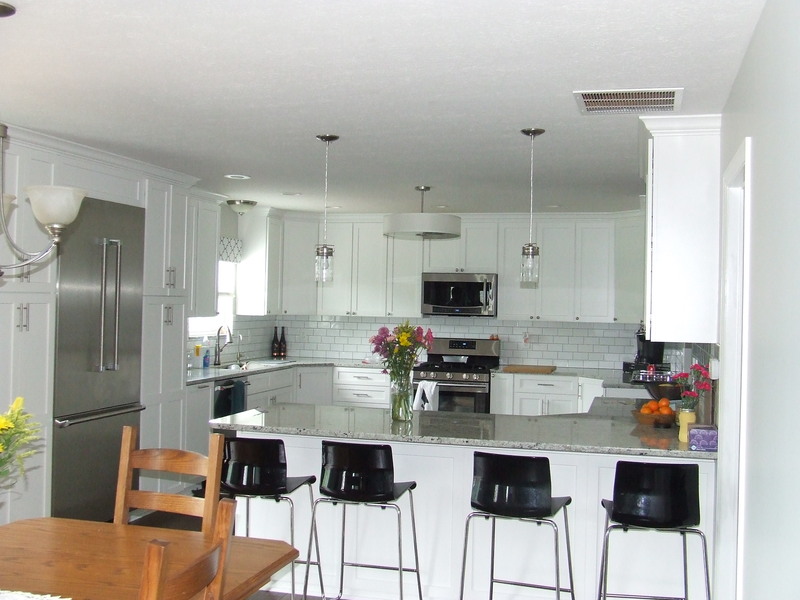 The old kitchen wasn't bad but what a beautiful difference Bruce can make! 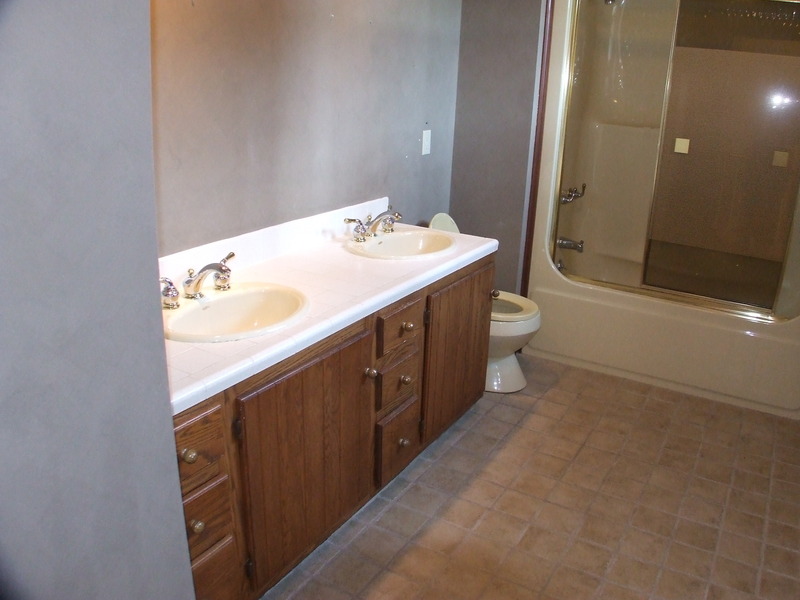 This Bath was dated with a tub and shower doors combo, bath surround, white laminate counter-top and a linoleum floor. Look how tight the lavatory area is. 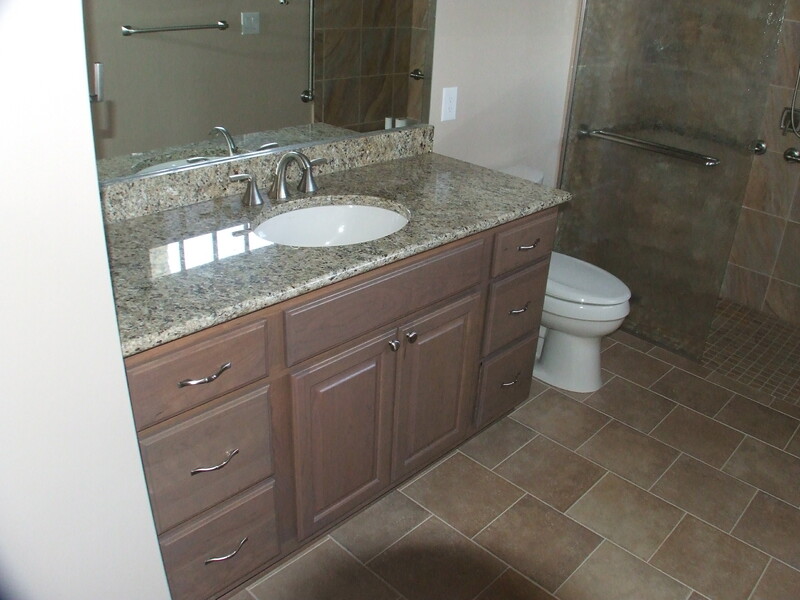 Bruce shortened the cabinet, removed the tub, added a ceramic floor, tile shower walls, and new shower doors.